“I will be as harsh as truth, and as uncompromising as justice. On this subject I do not wish to think, or speak, or write, with moderation.… I am in earnest—I will not equivocate—I will not excuse—I will not retreat a single inch—AND I WILL BE HEARD.” – William Lloyd Garrison, first issue of The Liberator. William Lloyd Garrison was born December 10, 1805 in Newburyport Massachusetts and died May 24, 1879 in New York, New York. Garrison was an American editor, writer, and abolitionist best known for his newspaper, The Liberator, and his successful campaign against slavery (Thomas, n.d.). 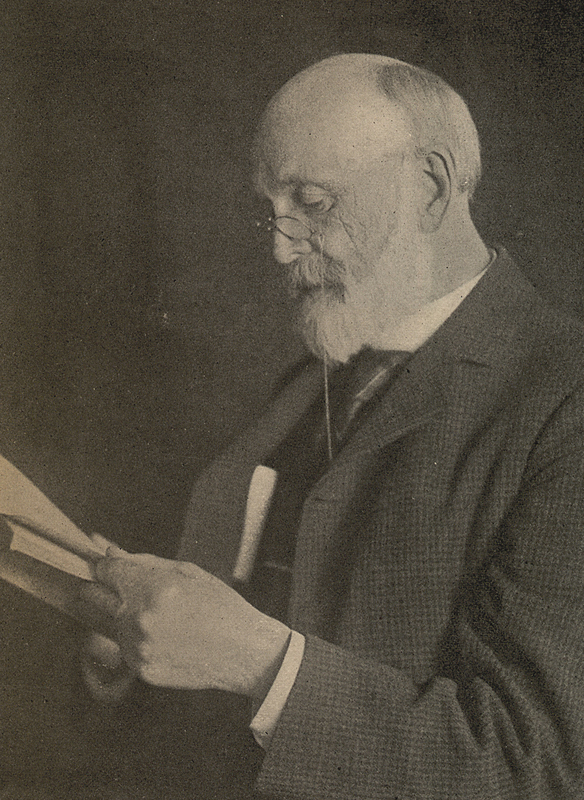 Garrison’s career began in earnest with editing jobs at the “National Philanthropist” in Boston and the “Journal of the Times” in Vermont. At these papers, he began to dedicate himself to moral reform. This led him to become co-editor of the “Genius of Universal Emancipation” in 1829 with abolitionist Benjamin Lundy. In 1831, Garrison began The Liberator, one of the most radical antislavery journals. The Liberator sought to educate people on the cruelties of slavery (Ohio History Connection, n.d.). Through The Liberator, Garrison was able to develop and disseminate his moral principles. These principles included moral perfectionism, nonresistance and pacifism, anticlericalism, disunionism, election boycotts, women’s rights and equality, and African American civil rights (Stewart, 2008). Garrison and many of his abolitionist associates began their advocacy as a part of the American Colonization Society, which called for the return of free African Americans to Africa (Thomas, n.d.). This idea was borrowed from the situation in Britain, where the emancipation of the West Indies was triumphing under the idea of “immediatism” (Frederickson, 1968). Immediatism condemned slavery and called for immediate emancipation. For those who did not want to be returned to Africa, promoters of immediatism proposed that they be integrated into society. These belief and their proliferation through The Liberator earned Garrison the recognition of being the one of the most radical antislavery advocates in American history (Thomas, n.d.). In 1832, Garrison founded the New England Anti-Slavery Society, which was the first immediatist society in America. Furthermore, in 1833, Garrison, helped to found the American Anti-Slavery Society, writing its Declaration of Sentiments and acting as the society’s first correspondence secretary. Arthur Tappan, Lewis Tappan, and Theodore Dwight Weld also helped found this society (Ohio History Connection, n.d.). In 1837, Garrison began to embrace Christian “perfectionism” doctrine, which supported abolition and women’s rights and demanded that citizens not participate in corrupt society. He also asserted that the Constitution was an illegal document because it denied African Americans their freedom (Ohio History Connection, n.d.). By 1844, Garrison had come up with the principle, “No Union With Slaveholders,” which was characterized by both pacifism and anarchism. This principle demanded for a peaceful succession from the South (Thomas, n.d.). Garrison’s increasingly radical views created controversy, even within his own organizations. Though members agreed that slavery was wrong, they believed that the Constitution was a legitimate document and the foundation of a legitimate government, but one that had to be amended to end oppression (Ohio History Connection, n.d.). In 1840, when the American Anti-Slavery Society voted to incorporate women, more conservative members of society seceded from the organization and instead formed the American and Foreign Anti-Slavery Society. Soon after, the American Anti-Slavery Society further splintered, and the Liberty Party was formed (Thomas, n.d.). The Liberty Party later become the Free-Soil Party, and then the Republican Party (Ohio History Connection, n.d.). Garrison’s influence continued to taper as he denounced the Compromise of 1850, the Kansas-Nebraska Act, and the Dred Scott decision. In 1854, Garrison publicly burned a copy of the Constitution at an abolitionist rally, and in 1857 he held a secessionist convention in Worcester, Massachusetts. With the genesis of the Civil War, Garrison placed his support in Abraham Lincoln and the Emancipation Proclamation. However, emancipation unearthed his latent conservatism; he was not in full support of immediate political rights for freed slaves. In 1865, Garrison resigned from the American Anti-Slavery Society after unsuccessfully trying to dissolve it. He published his last issue of The Liberator in December 1865 and spent his retirement supporting the Republican Party, temperance, women’s rights, pacifism, and free trade. Boston Public Library. Collections of Distinction. Anti-Slavery Collection. Fredrickson, G. M. (1968). William Lloyd Garrison. Englewood Cliffs, NJ: Prentice-Hall. Nye, R. B. (1955). William Lloyd Garrison and the humanitarian reformers. Boston, MA: Little, Brown and Company. Stewart, J. B. (2008). William Lloyd Garrison at two hundred. New Haven, CT: Yale University Press.